Saturday’s dinner has seating from 5:30 pm til 9:00 pm. Dining is family style -please pass the matzos. Vegetarian and Vegans are very welcome! We are having a short seder service and sharing this wonderful traditional Passover meal. Enjoy a community building meal and share in the history and culture - ALL are Welcome. Include Seder service led by Manus Monroe, with song led by Gale Kissin. Dinner also served Saturday without service. Same menu 4 nights - but menu is subject to change. Regrettably we are sold out for Friday dinner & service. Some space is available for Saturday dinner. Saturday's dinner has same menu but no service. Another in our series of community dinners - we celebrate all faiths in dozens of events each year. This dinner celebrates the Jewish New Year 5779, Our classic feast has sold out each year and is a warm evening service led by Manus Monroe. Gale Kissin will sing. In a truly ancient tradition, the shofar will be blown by Richard Zweig. Here is this years menu. Please call 707-827-1832 to reserve your seat. Come dine together - our Parisian trained chef Rick Vargas has created another feast! 3 nights of community dining to celebrate our friends across the sea, and their independence from tyranny. $39 members for this scrumptious & fun evening! Rick's food evokes the romance and community of Paris. Community style dinner allows everyone to share and try every dish! Call 707-827-1832 to reserve your group. Dozens of countries and hundreds of cities help the French celebrate Bastille Day. Here Prague sets off the fireworks in 2016. We will have wonderful local, independently made wines available for pairing. Meekk is preparing profiteroles to finish off your meal. A special menu that would make anyone from France cry tears of joy. Mother's Day Sunday, May 13th, La Bodega in Sebastopol hosts a wonderful nightclub supper for our members (and the public). Please check out the photos, the menu and call soon. We hope to ensure everyone has a wonderful evening of song, food & wine. Price includes 4 course tasting flight. Tax & Service not Included. A Lunar Feast is a lot of fun and community sharing. And great food too! Bamboo Garden was at 108 Capitol Blvd, Boise Id. Join Gale Kissin of Sebastopol for the Mama Loshn CD release party. Her music is authentic, recreating the heartfelt music of the Old World. This CD reflects her commitment to her heritage. We have posted one video link below. Bruce Bierman is a leader in traditional Jewish dance. Click for his FB link. Very special local musicians and Jewish dance leader Bruce Bierman will add to the festivities! We’ll sing! We’ll dance! We’ll have a nosh and toast each other! Drop in this Sunday to hear the warmth of music, share a glass of wine with friends, and buy a CD to help those needing medical care. All are welcome at the Jewish Community Free Clinic - doctors and nurses are all 100% volunteers. The devastating fires last month are out, with so many affected directly or through family & friends. So many lost homes - so many folks are interconnected. Last month, our community came together on so many levels to help each other survive. Now, as we help each other recover, Thanksgiving marks a day to appreciate each other. Every year, Meekk and Bryan open the Sebastopol dining room for friends, family and neighbors. Some have few choices for this holiday - others want to share a few hours with us on their way to and from other gatherings. We invite everyone to really reach out to the greater community, to show our mutual love and respect, and to join us for our annual community feast. As always, we provide smoked turkey & ham & vegan roast - everyone else brings any dish they wish to share. The kitchen's 10 foot long table groans under the weight of these offerings. Thanksgiving is a day for our staff to be with their families, and they will be taking a well deserved day off. Volunteers are welcome to run the dishwasher, clear the tables and just generally fill in for our team. Please just come by, if only for a little while, to help us share a warm community celebration. Yes wine will be available to purchase by the glass or bottle. Olive Oil is one of the Mediterranean's true wonders. This rich unctuous liquid has amazing health benefits, tastes great, and enhances many many fantastic dishes. Just think what some freshly made egg pasta tastes drizzled with just a little fresh, extra virign olive oil & salt - simple yet succulent. On Saturday August 26 (1-6pm) and Sunday August 27 (12-4pm), Susan Sasson will present olive oil from her Glen Ellen, CA orchard. Grown just a few miles from our Plaza shop - Come have a taste! Sonoma Wine Shop is a wine bar and cheese and gift shop. Ages 21+. Our neighboring shops include all ages - ice cream, chocolate, and more. Come celebrate with the author Sunday, July 23, from 2 to 4 pm. Michael Stuart Ani's 'The Ghost Dance' spans a lifetime, revealing the Mazatec people of Oaxaca Mexico, Desheto, the talking mushroom; the Yanamomi Tribe of the Amazon, and this Untold History of the Americas. 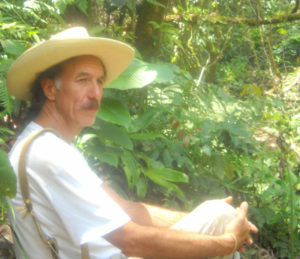 Michael lived many years in the Mazateca rain forest of Mexico, and later with the Yanaomami tribe in the Amazon. Centered around the mythology of Meso-America, the Ghost Dance suspends our normal senses, and delves into how native people commune with their ancestors. Mexico's Day of the Dead is a modern celebration of this very ancient tradition. A whole set of intriguing stories and phenomenal photographs can be found at Michael's new website and blog. Click the book or this link to experience just a bit more of Michael's psychotropic twinkle. Come dine with Parisian trained chef Rick Vargas. This Friday, July 14. Call 707-827-1832 to reserve your table. Enjoy a fantastic meal this Friday at La Bodega. Parisian trained Chef Rick Vargas has prepared a superior meal. We are pairing with wonderful local wines honoring the French tradition. Meekk is preparing profiteroles to finish off your meal. Members - just $65 all inclusive - wine, tax and service. A special menu, wine pairing included, that would make anyone from France cry tears of joy. Manus Monroe has led our Seder for many years, always informative and entertaining. Gale Kissin has a wonderful passion for traditional music and leads the music tonight. A huge family style feast celebrates Passover, with many traditional delights.